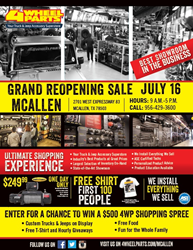 4 Wheel Parts, the global leader in off-road performance product sales and installation, will hold a free grand reopening celebration this Saturday, July 16 at its McAllen, Texas store. The location will present its refurbished state-of-the-art showroom and installation facilities designed to serve the local off-road community with installations and upgrades for their 4x4s. Our exciting promotions during the reopening celebration will be a $500 4 Wheel Parts shopping spree giveaway, deals of up to 15% off on select products in addition to labor discounts on installations. The McAllen store joins 4 Wheel Parts’ lineup of five total locations in Texas with others in Dallas, Fort Worth, Coppell and Plano. It’s the latest to undergo a makeover that features a more user-friendly experience for customers, giving them a firsthand look at the latest performance off-road aftermarket parts and accessories. Popular manufacturers including Poison Spyder, Rigid Industries and KC HiLiTES will display their products allowing off-roaders an in-person look at the latest industry innovations. Personalized product guidance and education will be available from expert in-house sales representatives and ASE-certified service bay technicians on-site. 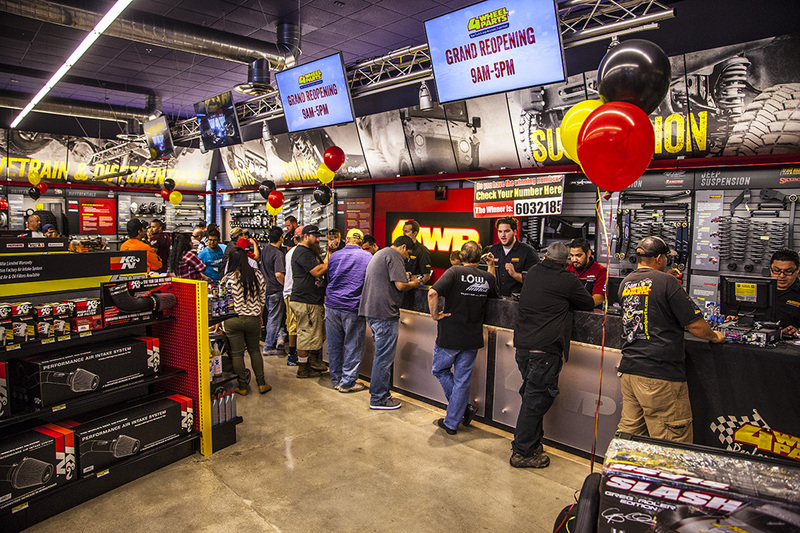 The McAllen store carries over 450 of the top off-road brands available and joins 4 Wheel Parts’ roster of 75 retail locations throughout North America. About 4 Wheel Parts: 4 Wheel Parts is the global leader in truck, Jeep, SUV and off-road performance products. 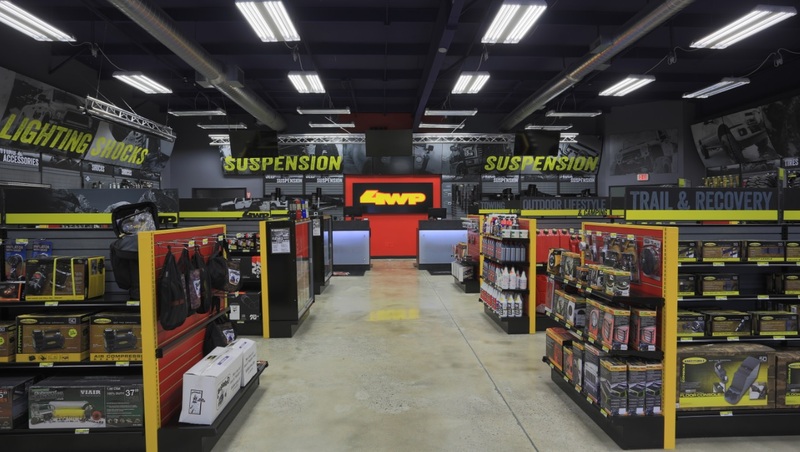 With 75 locations across the U.S. and Canada and growing, 4 Wheel Parts Service Centers install all the products they sell. Maintaining the nation’s largest inventory of off-road tires, Moto Metal wheels, lift kits and tow hooks, 4 Wheel Parts serves customers across the country and around the globe. Life is Better Off-Road™. Visit them at 4wheelparts.com or call toll-free 877-474-4821.